Food insecurity refers to the USDA’s measure of lack of regular access to nutritional food for an active and healthy life. The food insecurity rate in Harrison County is 11.6% of the total population, and the child food insecurity rate is 16.2%. Last year, Dare to Care distributed enough food to provide 835,833 meals to Harrison County families in need. Of that, 491,000 pounds were fresh produce, which was distributed for free. Making ends meet became an even greater challenge when 54-year-old Nancy suddenly became jobless. Taking care of her husband, her 8-year-old granddaughter and her son, who was recently injured in a car accident and is now confined to a wheelchair, have become increasingly more difficult without the extra income. For Nancy and her family, Dare to Care has been an incredible help as she gets back on her feet. “I do the best I can, and my parents help out, but this helps me save a hundred dollars or more on my groceries,” Nancy said. She loves the meat, the fruits, cereals and vegetables she gets from Dare to Care, and believes it’s a great place to come when you need help. “This is great. The people here are very caring,” Nancy says. Like many others, Nancy is looking for work and hopes to secure a job that will help her family get back on their feet. 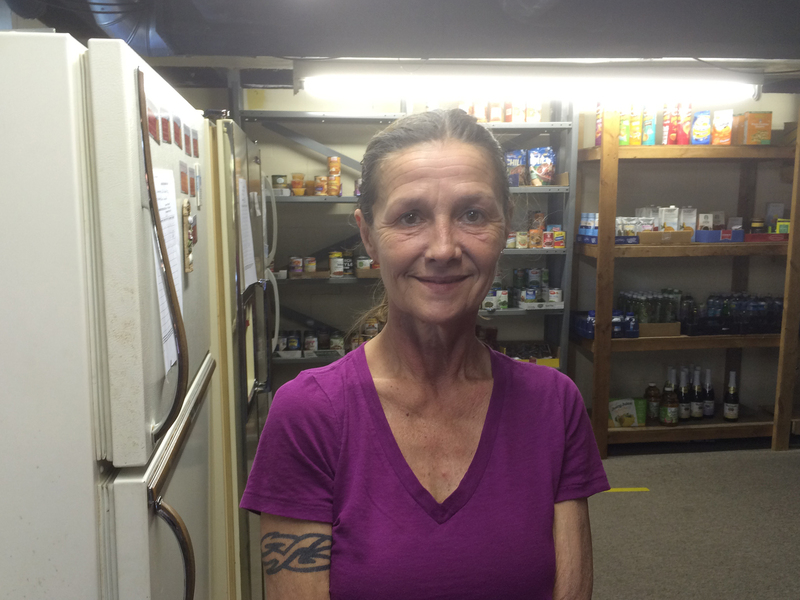 For now, the food and commodities she receives from Dare to Care are an incredible help, during a rough time. “This is a really good place to go. It’s great. It’s wonderful,” Nancy says, as she prepares to transport her full wagon of food home to her eagerly awaiting loved ones.